Vitamin C. Immune system boost. Heart diseases. Prevents coronary heart & cardiovascular. Low in calories. 70-100 calories. Reduce sugar craving. Prevents cancers. Yes plural. Colon, prostate & breast. Cholesterol. Reduces bad and increases good. Tooth decay. Juice from apples kills up to 80% of bacteria. Brain disease. Protects brain cells. Prevents Alzheimer's. Healthier lungs. Respiratory problems, including asthma. Taste great. Natural Food. Gift from Heavenly Father. I started eating apples 7 months ago. I am trying to eat an apple every day. I discovered a new apple. New to me. Honeycrisp. New amazing over the top good. Delicious. Developed by the University of Minnesota in 1960. Released for sale 1991. 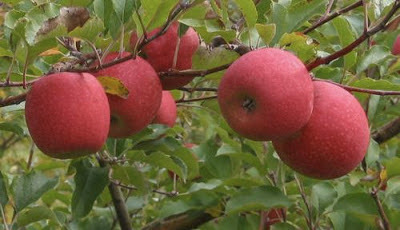 I learned about delicious Honeycrisp apples in 2012. 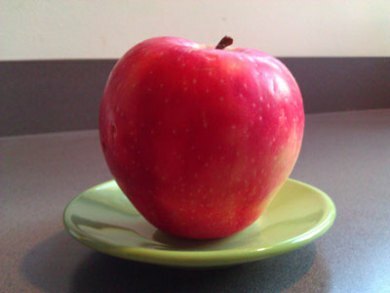 Will eating Honeycrisp apples keep the doctor away? Maybe. Maybe yes.